Summer is a welcome break for even the most resilient school leader. But when you get your life back, what do you do with it? Did the end of term leave you quanked, forswunk, and ramfeezled? Has your mojo run off and left your body to cope all by itself? 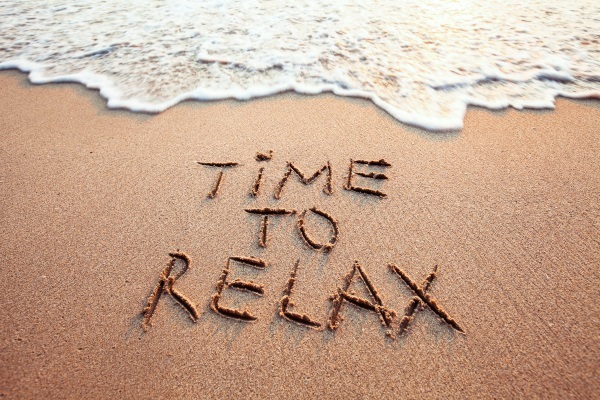 Fear not, the summer holidays are here and that means it’s time for some serious decompression and ‘me’ time. It’s time to recharge, rejuvenate and – if necessary – reinvent yourself. Holidays are your ‘holy’ days and quite rightly we worship the time we get off to do things we don’t ordinarily get the time for in the thick fog of the working week. In the true spirit of personalisation, it’s each to their own but having a loose plan about what you want to do and achieve over the summer will make the time more enjoyable and productive. Here are some restorative ideas you might want to consider. Walk with them, run with them or bin them if you like, but don’t get to early September and have regrets! Not having to get up and go for a fixed time every day is a glorious luxury. Sleeping well is key to firing on all cylinders so if you want to hibernate then make the most of it and reap the benefits. We spend countless hours cooped up in a claustrophobic cuboid with 30 children. The urge to get out and explore the great wide world, even for a few minutes, should be seized upon. Park yourself in a one of the UK's 15 national parks and go wild, without the trauma of risk assessments or stuffy coaches. Being in the natural world offers one of the most reliable boosts to your mental and physical wellbeing. We are blessed to have some of the finest museums, art galleries and festivals in the world. There are plenty of world-class collections and heritage sites across the country that deserve our attention, and ‘consuming’ culture is diversional therapy par excellence. A holiday isn’t a holiday without a holiday. Getting away doesn’t have to mean flying to the other side of the world and disappearing for a month. A simple break from your normal surroundings can open your eyes to new experiences. Your destination could be Manama or Manchester, but leaving home is a good move. Even if you stay indoors, now is the time to give your hobbies and interests the time they deserve. Use the summer to cultivate a new interest and see where it goes. You never know, it may become part of your life and captivate you in a very personal way. Holidays give you time to devote to recreational reading – this shouldn’t include work-related CPD books! Your library might only be a couple of shelves, but now is the time to enjoy what interests you. Take time off from swiping and tapping. A digital detox will allow you to connect with friends and family, and rediscover the power of face-to-face relationships. You don’t need to punish yourself with an intense workout to feel the benefits: a simple stroll will work wonders. If you want to be more active then go for a new activity and experiment with something to challenge your mind and body, strengthen your immune system and reduce toxins. If you really want to feel good, why not carry out a few acts of kindness? Spare a thought for the friends of yours whose work hasn’t stopped over the summer. Lightening their load might be as simple as picking up their dry cleaning or doing a bit of their shopping. The release of dophamine, or ‘helper high’, is second to none. As the old military saying goes, ‘proper prior planning prevents pitiably poor performance’. True though this is, if you find yourself still at school, ‘getting things ready’ for September, something is clearly wrong! Refuel, relax, refresh, replenish, renew, recover…summer is a time for lots of ‘re’ words! It’s the time to have fun, get your perspective back and adopt new ways of thinking. Batteries can corrode but there are lots of things we can do to make sure they don’t leak and leave us in a crusty mess. We have to make sure that the insulating seals at the ends of our mental batteries aren’t breached and we discharge our duty to self-care, not self-harm. Look after your batteries and you’ll have the energy for getting from A to B and to keep going when it matters. Recharging your batteries will also help you go back to school with a glow and help you cope with everything life has to throw at you – proper ‘R & R’ will give you the resilience of a tardigrade.